It is hard to keep track of how many Italian restaurants there are in the Brentwood area of West Los Angeles. Italian restaurants are like Starbucks….one on every corner and then a few more in between. Many of these restaurants offer delicious modern Italian cuisine. Others offer old school cuisine, serving up Italian-American familiar comfort dishes. Il Piccolo Verde on Barrington Court, near Sunset, is one of these places. Il Piccolo Verde is a friendly neighborhood restaurant on the former site of Restaurant San Gennaro. 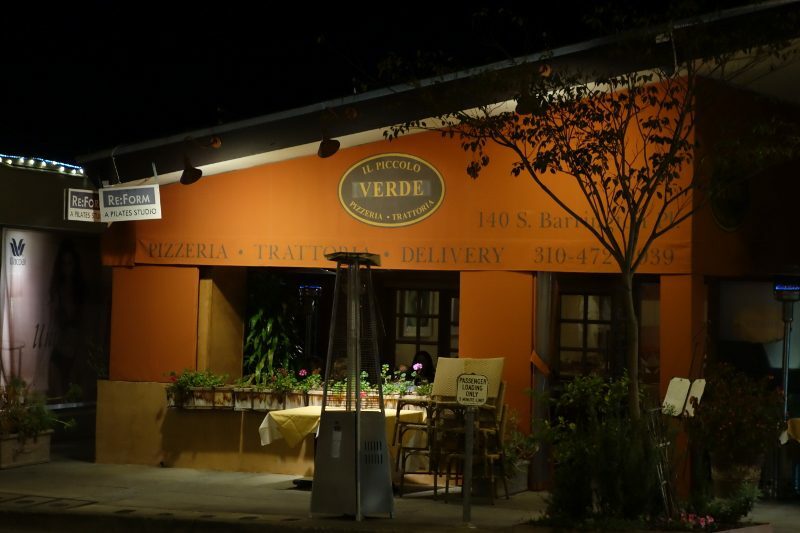 Owners Mike Schwartz and Oscar Morel opened Il Piccolo Verde in 2013.